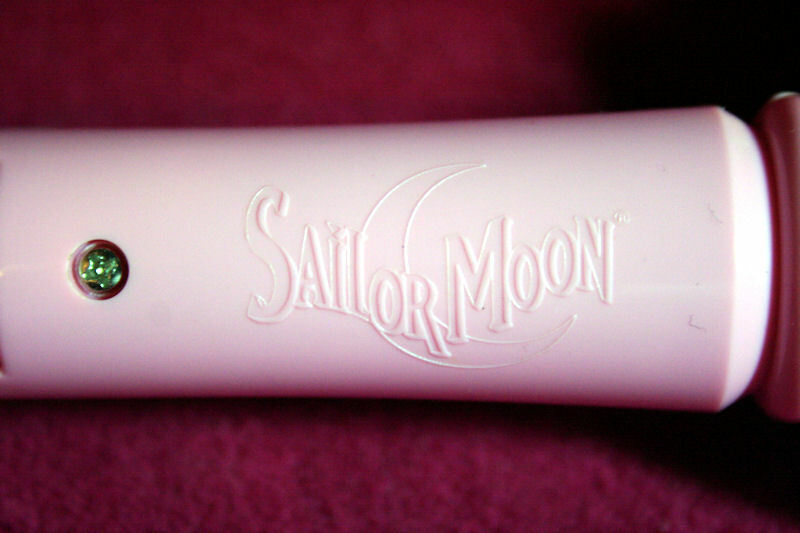 Cutie Moon Rod – MoonFigures Collection, Art, and Reviews! Paid: $50 from Fabulouslylazy on Livejournal. 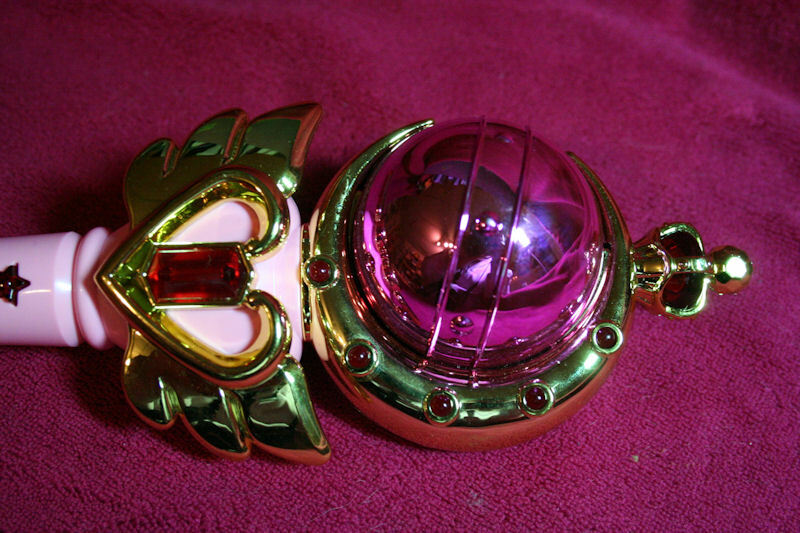 This cosplay toy took me FOREVER to replace, despite the fact that it is not rare, or expensive. It was just something that I personally always missed, or himmed and hawwed on for to long. I originally owned it when I was younger, but ended up selling it in a garage sale for a dollar or two. This piece is wonderful for collectors. 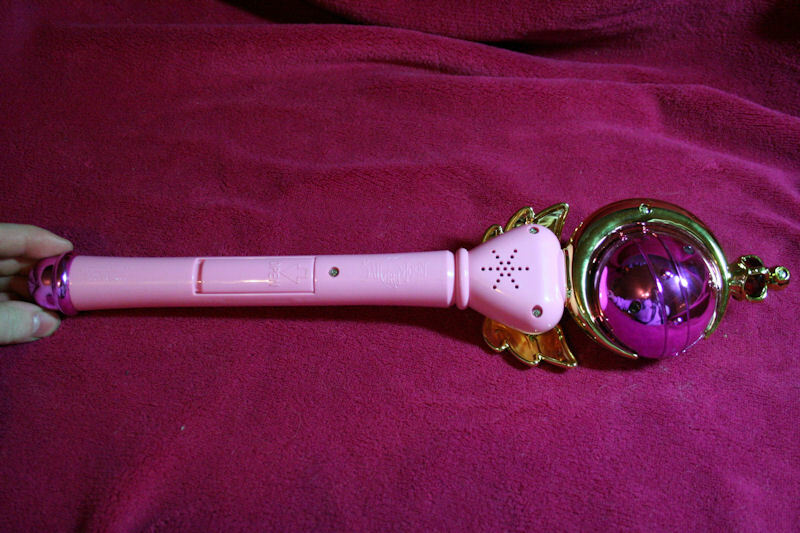 It features three star shaped buttons that play different sounds, and light up the wand. 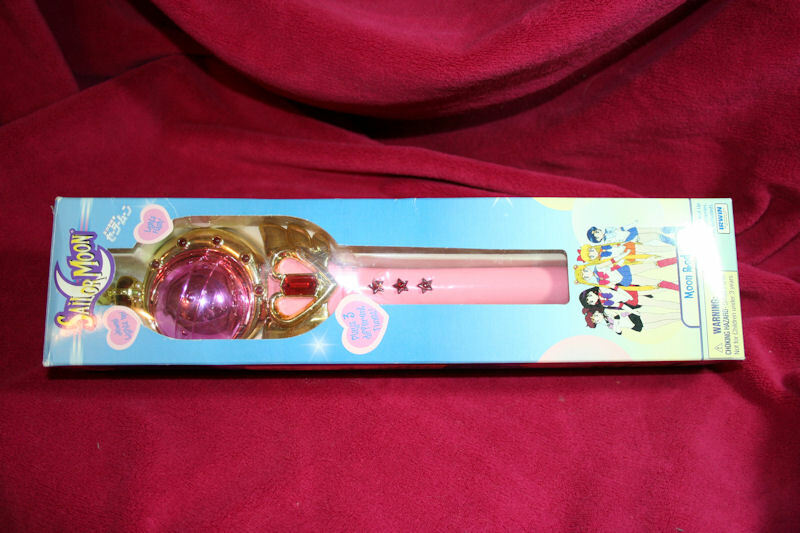 The picture below is a detailed set of pictures of the box and packaging of the North American Cutie Moon Rod. Beware, the image is fairly big.